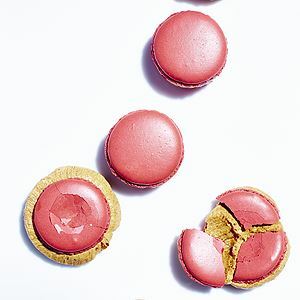 1 quantity Zumbaron Shells coloured deep pink - you will need to purchase Adriano Zumbo's book for his master recipe. 0.5 g gellan gum (available from specialty food stores or online). 3 g xanthan gum (available from health food stores). Warm the cream and vanilla seeds, gellan gum, lemon juice and banana in a saucepan and use a hand blender to blend until smooth. Set aside. Put a medium saucepan over medium heat and dry caramelise the caster sugar: heat the pan, then spread a layer of the sugar over the base and, as it dissolves, add another layer of sugar until all of the sugar is used and it has caramelised to a dark amber colour. Deglaze the caramelised sugar with the warm cream mixture and stir well until smooth. Add the milk chocolate then the unsalted butter and use a stick blender to blend until the mixture is smooth and the chocolate and butter are well dissolved. Finally, stir through the rum and the sea salt. Pour the mixture into a container, cover with plastic wrap, ensuring the plastic is touching the surface to prevent a skin forming, and set aside to cool. Put the banana caramel into an electric mixer fitted with a beater attachment. Add the butter and beat on slow to medium speed until the butter is well incorporated. Beat for 1 minute, then scrape down the sides of the bowl and beat for another 10 seconds: the mixture should be a dark caramel buttery colour. 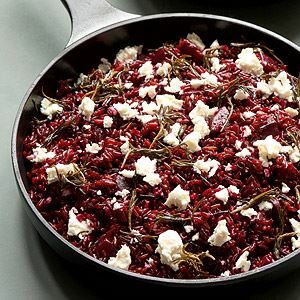 Put the ingredients in a food processor and blend until the mixture thickens to a gel consistency. Put the banana caramel crème in a piping (icing) bag fitted with a 9 mm plain piping nozzle and put the balsamic gel in another piping bag fitted with a 7 mm (9/32 inch) plain piping nozzle. Pipe some banana caramel crème onto the flat side of half of the zumbaron shells, then pipe a small amount of the balsamic gel into the centre of the banana caramel crème and pipe another small amount of the banana caramel crème to cover the balsamic gel. Top with the remaining shells. Put the assembled zumbarons in the refrigerator for 24 hours to set before serving. 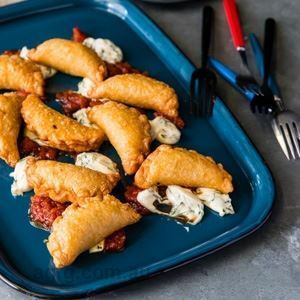 Bring them to room temperature to serve and eat within 4–5 hours or keep them in an airtight container in the refrigerator for up to 2 months. 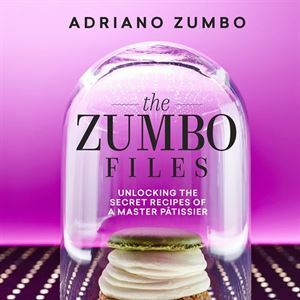 Credits: Recipe and images from The Zumbo Files by Adriano Zumbo (Murdoch Books) $49.99 available now in all good bookstores and online. 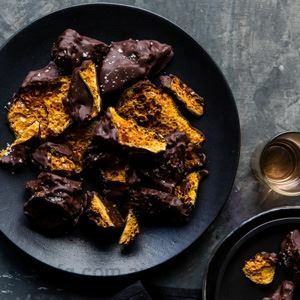 Photo Credits: Recipe and images from The Zumbo Files by Adriano Zumbo (Murdoch Books) $49.99 available now in all good bookstores and online.